WindsorEats is proud to announce the addition of Salute Espresso Bar. The interior of Salute provides a fantastic urban feel, but the aesthetics are not the only thing he’s hoping will draw people in. He’s hoping his passion for coffees or all kinds will help draw customers in to experience what a properly created cup of coffee tastes like. For food lovers like us here at WindsorEats, he’ll also be offering classes that will showcase different beans and brew techniques. We encourage you to visit Dane at Salute Espresso Bar and be sure to tell him WindsorEats sent you. 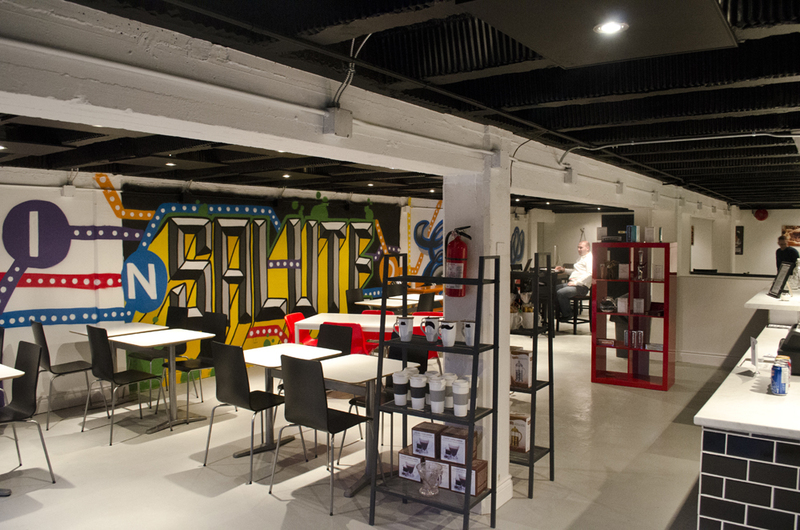 Have you been to Salute Espresso Bar? Leave a review on their WindsorEats page. Click here! Founder and co-owner of food and drink companion, WindsorEats. Lover of food and cats, though not necessarily together.